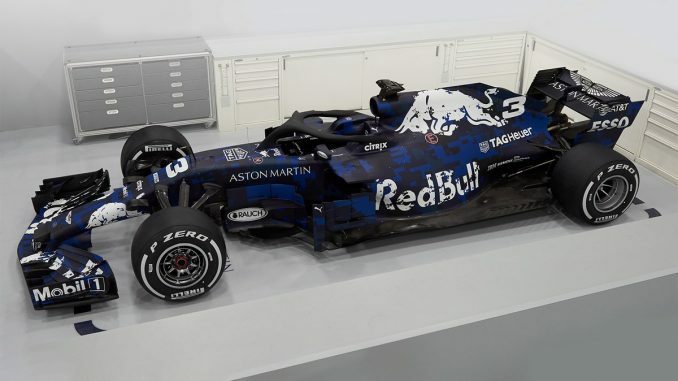 Red Bull has released the first images of its 2018 car, showing off the Aston Martin-Red Bull Racing-TAG Heuer RB14 in a special edition livery. Daniel Ricciardo will be taking the car for a spin at Silverstone today before it heads to Spain for next week’s pre-season testing, when the 2018 race livery will be revealed. The team says installing the new Halo has been a challenge as it prepared this year’s car, ensuring that the chassis is strong enough to handle to device. 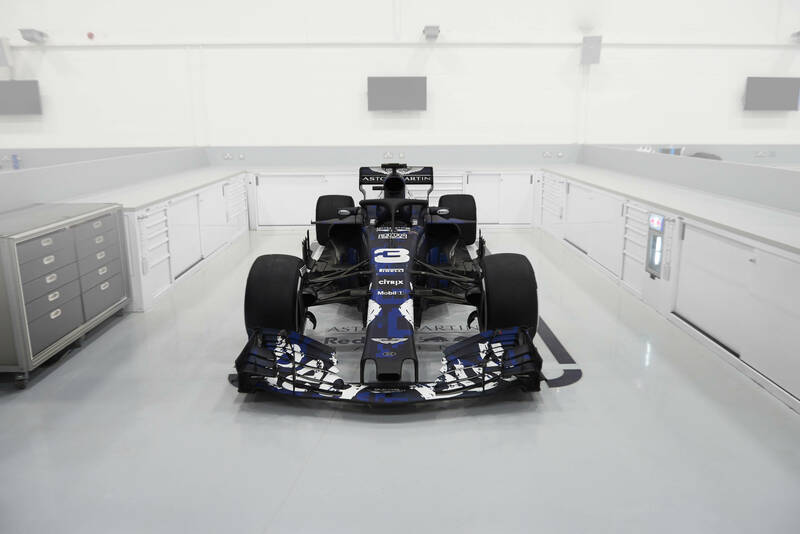 Red Bull typically launch later this this, but say the relatively stable regulations for this season have allowed the team to get the car ready earlier than usual. 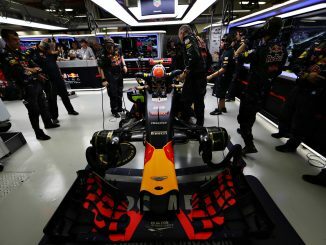 As well as the addition of the Halo, exclusion zones at the back of the car mean no shark fins, monkey seats and T-wings. Although the special edition livery is only temporary, it seems to be proving a hit with fans. 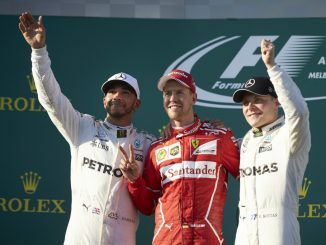 F1 followers have already been posting on social media, urging the team to keep the new colour scheme for the rest of the year. It isn’t the first time Red Bull have used an alternative look ahead of the new season before reverting to their traditional look for the first race. Red Bull will be filming the car in action with Ricciardo at the helm today. The team won’t really get to test the car until next week though, as F1 rules strictly limit what they can do with the car during a filming day. Ricciardo will be limited to running 100km and have to use a tyre specially developed for promotional events by Pirelli. Expect to see plenty of footage of the RB14 on Red Bull’s social media channels before the car hits the track in Barcelona next week.